This post is sponsored by Vimtag. I am being compensated for helping spread the word about the camera, but everyone knows Scratchings and Sniffings only shares information we feel is relevant to our readers. Vimtag is not responsible for the content of this article. Hey, it's Tom again. Not sure if you followed any of our holiday travel saga, but I did get a chance to log in and play with the camera again. If you missed my previous posts covering the basics of setting up and using the camera, you might want to start there, First Take and Take 2. Recorded while traveling far, far away . . .
Keep in mind that we were in upstate New York, controlling the camera in our house over 1,500 miles away. This time around, I've gone back and edited the raw video captured by the camera, to overcome two main problems: boredom and potential liability for deafness from the audio track. We tried to get them to look alive, really we did! The raw video was over 5 minutes long. And not much happened. During the live recording, I would have sworn I saw Olive's ear flick once or twice, seemingly in response to my voice. But I couldn't find it in the recording. In this clip, you should be able to see Emily move her front paws a couple of times. To be honest, she does that often while chasing rabbits in her dreams, too, so I can't be certain that she actually heard me through the camera's speaker. The camera and the app-based monitoring software enable you to zoom in and out, if you are using a device with a touch screen, like a smart phone, tablet, or my Samsung Windows 8 laptop. I played with it quite a bit during this session and it works great in real time. However, when I looked at the recording on the SD Card, the zooms were not captured. Why that happened is beyond my tech knowledge. So the zooming in that you see in the clip above, I added during the editing using Camtasia Studio 8. I actually like that better, because it gives me much more precise control over when the zoom should begin and end. The only part that I'm less than satisfied with so far is the audio quality when I turn on the microphone and try to talk to the pets through the camera. Now, the audio you hear when you just turn on the sound from the room where the camera sits is pretty good. You can hear Olive's clicking toenails on the floor and Yvonne's and my voices quite clearly in the Take 2 video. But when I turned on the microphone to enable talking back to the pets through the camera, the audio quality went way down. We could (barely) hear and understand it during the live session, but in the recording there is so much background noise that my words were almost unintelligible. I removed as much of the noise as I could, but finally had to dub over to give you a sense of what was going on. I'm not sure how much of the two-way audio issues might have been caused by using my laptop's built-in microphone with the speakers turned on, possibly creating a feedback loop, along with being in a room with two holiday-crazed kids and the adults trying to keep up! I plan to try again, using my phone, our Galaxy tablet, and maybe a headset when I get a chance, so I'll let you know if I learn anything new. So much more, that if you're thinking about getting a camera for pet safety or general security, I urge you to find out even more about the Vimtag IP Video Camera VT-361. Of course, the system has may possible uses (besides pet monitoring): Nanny Cam, Business Monitoring, Vacation Home Monitoring, Senior Monitoring, Remote Live Video Streaming, to name a few. All in all, this video camera system has been easy and fun to use and the video quality is exceptional for a surveillance tool. What do you think? Hey everybody, Tom here. I don't get a chance to post here very often, but Yvonne asked me to let you know about our initial experience with this new gizmo, since I'm the one who plays with our new tech toys most. The second shot shows me waving at the camera while snapping the still photo from it by clicking on the app from my laptop. The HD image quality is one of the several pleasant surprises from my first experience using it. And if you compare the two, you get some idea of how far you can pan the camera, also using the remote control on the app. Sorry for getting excited. Starting over ... the Vimtag IP Camera VT-351 is available from Amazon for $99, as a single camera. You can also buy multi-camera packages, but we just received the one for review. The camera itself came fully assembled. The power and ethernet cables just needed to be plugged in and the wireless antenna screwed on. An optional wall-mounting bracket came with it, but we're not using that (yet). The user manual walked me through starting it up and setting up our account on the MIPCM.com website, which allows you to control the camera from anywhere. I messed up following the setup steps, by not connecting the ethernet cable to our network, because I wanted to use the Wi-Fi connection. But that gave the Vimtag tech support folks a chance to shine. I called in, the first person I spoke with said he'd have a "Level 2" support person call me, and in about 10 minutes, they followed through. The Level 2 guy guided me through the rest of the setup quickly and stayed on the line while we tested everything. When I thanked him, he asked if I'd bought the camera on Amazon and be willing to give it a review — which reminded me that I had not mentioned I'd received the camera from them in order to do a review. So the excellent support I experienced was not influenced by that relationship. After getting through the camera and online account setup, I was able to play a little, panning the camera up and down and through it's well over 180 degree viewing angles. And the microphone and speakers in the camera worked well from my laptop. I need to get a micro-SD card to record some video and, of course, go out to someplace off site to test how all this works as a way to keep eyes and ears on the dogs and cat. Not to mention how they react when we try talking to them through the camera! We wanted the camera mainly as a pet safety and security tool, of course. But who knows, maybe we'll catch them doing something outrageously cute or funny and post a viral YouTube video, eh? Smile for the camera you three! Should be fun and we might just have a chance to try it while we're out over the next few days. Stay tuned! Where's my breakfast? Didn't you get paid for that blog post? Everyone loves free product. Those of us who are dedicated bloggers - that means we blog consistently, we have purpose and we strive to be professional - often get pitched free product. Even in the early days of my blog, I was unimpressed with a PR firm or a brand offering me free product for my 'work'. You see, they were approaching me (so they said) because of my influence. They appreciated my content. They wanted to tap into my readers. The very same reasons they pay for magazine advertising and TV commercials. But, for me... because I'm 'just a blogger'...they weren't prepared to offer payment. I was offered free product. Because, "To pay bloggers sets a bad example. People will no longer believe you or trust you if they think you're paid." I get invited to write about a lot of different kinds of pet products. I get invitations from folks who want to share their content with me... because my content is lousy, I guess...and I get a good bit of attention from big brands wanting me to promote their latest, greatest marketing program. Generally, I give a polite no in response. Like many of you, I work with the @BlogPaws network and I allow them to find me 'gigs'. Just sharing some shots of the fur kids avoiding the camera. I sure wish I knew how to get them to pose! Get the camera out of my way, Mom. I know it's Olive's bed but I like it. Is the camera necessary? I mean, I can't eat it so what good is it? The song, and Ringo Starr, has always held a special place in my heart. And, maybe the words of the song mean more to me than to others because I've gotten where I am, With a little help from My friends. 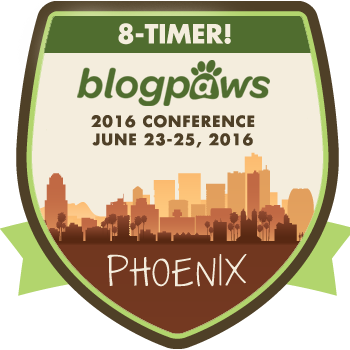 BlogPaws, my pet commuity and conference, gets its power, With a Little Help from Our Friends. It's with that spirit in mind today that I share this info from one of the bestest of the best, BZTAT of BZTAT Studios, an artist extraordinaire, an all around fantastic animal supporter ( fond of cats... to the utmost), and just a good person. 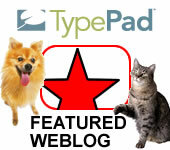 We see a lot of things via BlogPaws. Brands and new companies and start ups and just plain talented bloggers come to us with announcements about stuff they've invented or created, and we're amazed at the sheer innovation happening in the pet community. Lately, one particular product caught our eye and we've noticed a bunch of bloggers have written about it - because it's worth knowing about: Pup Protector! I was introduced to it by Trevor, the founder, and I really think he's onto something! Anyone who's ever been to a pet expo will relate, and anyone who hasn't... well, you just need to go! There's one BIG difference: The Global Pet Expo is like a dozen other expos, all in one! According to Twiggy's Mom, the entire show is at least 14 football fields long, big or whatever. And, it felt like 14 football fields, as we walked around it! I'll tell you this, the energy and excitement at being around so many pet people and pet products was amazing and wonderful and mind-boggling! I have a super-high respect for the APPA (American Pet Products Association) for putting this show on! They did a truly outstanding job. It's Howl-i-day Time! Howl Away with Our Holiday Gift Guide 2012! BlogPaws Holiday Gift Guide #PawsGiftGuide on Twitter! However, I do not want to forget the BlogPaws Holiday Gift Guide! Have you seen it? It's chock full of great stuff! BlogPaws talked with some fun brands to have their products included in the gift guide. A bunch of bloggers are sharing the guide all across the net because, after all, we all love great pet products, right? All ya all know FURminator, right? You have to have one of these amazing tools! We love our FURminator and so do our pets! Well, now they have a tool for your vacuum! OMD! Check it out!